Dhanraj Mangra and his wife escaped the violence of Guyana to start over in New York City. Twelve years after they made the move to safer shores, the 68-year-old father of five was dead. Mangra was found unconscious on Jamaica Ave. near 207th St. in Queens Village at 8:30 p.m. on Jan. 3, cops said. 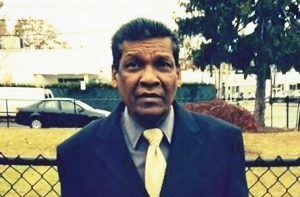 He died at Queens Hospital after a pair of muggers attacked him and he slammed his head against a parked car, his heartbroken wife said Thursday. As Mangra fell, he hit his head on a parked car, cops said. The heartless muggers ran off with his iPhone, his credit cards and cash, police said. The Mangras were married for 46 years and have five grown children. She grew more suspicious when she prepared her husband’s funeral.